Usurp Art Gallery organised an extraordinary, four day film festival with 84 experimental short films by 63 artists and filmmakers from over 15 countries, including Argentina, Germany, India, Jordan, Peru, Spain and South Africa. This is the first time an experimental film festival has taken place in the London Borough of Harrow. The programme consisted of four days of exhibition films – projected and on monitors, three nights of screenings with informal talks and discussions, and a film soundtrack and projection night with artists from Usurp Art. It was fantastic to have 11 festival filmmakers present who made the discussions highly enjoyable and accessible. Usurp Art welcomed very diverse audiences each day with a full house on each night. Attendees were thrilled to meet and discuss the films with the filmmakers, and share knowledge. The filmmakers were delighted to be able to network with each other and to share their ideas with members of the public, other filmmakers, and curators that attended. The social, cultural and educational value of this festival was considered to be exceptional, and the fact that it took place entirely at Usurp Art proved to be its strength, with high numbers of people reporting that they felt excited and engaged because of the intimacy, and possibility to have one on one discussions in a friendly atmosphere. Programmed and curated by Poulomi Desai and Simon Underwood. Thanks to all the filmmakers, audiences, helpers and sponsors who made our Usurp Zone5 Film Festival a great success. Part of this tomorrow with my Kartar harmonium – do join us – the afternoon starts at 2pm with performances. 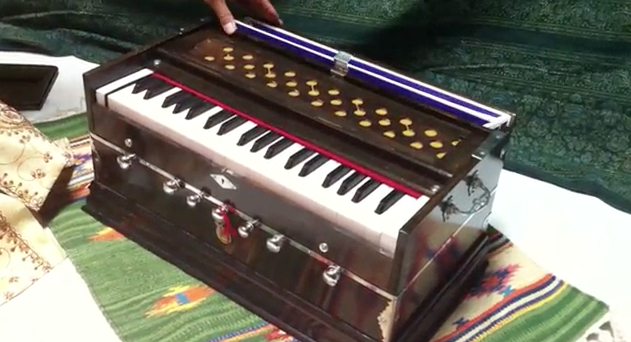 space, breath, time brings together a group of musicians to interpret a text-based score written for South Asian portable harmoniums. This experimental score explores ‘flows of people, networks and waves – sounds in migration, in search of asylum’. Audience members are invited to walk amongst the harmonium players in order to experience the sonic characteristics of the performance space. Sonic seeds and spores from thunderous electronic artist Petrels – presenting the London debut of the full 5-piece Petrels band line-up following the release of new album ‘Flailing Tomb’; extraordinary and otherworldly noise duo Conspirators of Pleasure – aka Simon Underwood (founder member of The Pop Group) and Poulomi Desai (ex Dead Jalebies); CIYF favourite Laid Eyes, presenting the premiere screening of new film ‘I Want In But I Don’t Know To What’; enthralling quartet performance from müllZimmer’s Jonas Gustafsson (percussion) and Lia Mazzari (cello), with Clay Gold (electric bass) and Florian Zeisig (percussion); plus Tartaruga DJing throughout and till late. Performing live in the studio on Friday 3rd April will be Conspirators of Pleasure, aka Poulomi Desai and Simon Underwood. Tune into NTS from 8am to 10am to hear them play. Conspirators of Pleasure (Poulomi Desai – ex Dead Jalebies and Simon Underwood – founder member of post punk band The Pop Group) are an improvising duo that seek to bend all the rules, question the sacred, create extraordinary soundscape performances and self-regulating sonic systems, using modified and prepared instruments. 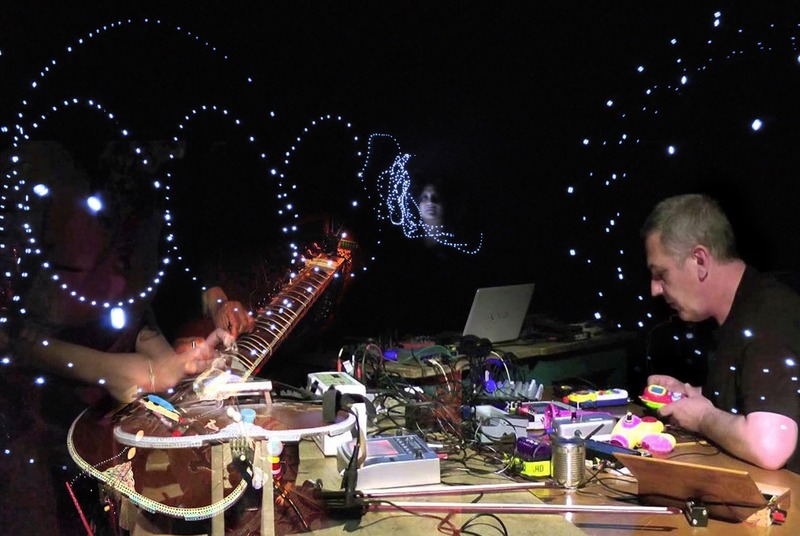 Part of their unusual musical armoury includes a prepared sitar, sonically twisted stylophones, prepared bass, modified toys, resurrected radios and visually scarred slide projections. Their compositions explore experimental terrains, twisting technology to transform organic sounds into eerie calls that flow from intense waves of abrasive, noisy, chaos invoking industrial nostalgia, to structured pulsating rhythms, to melancholic, microtonal drones. 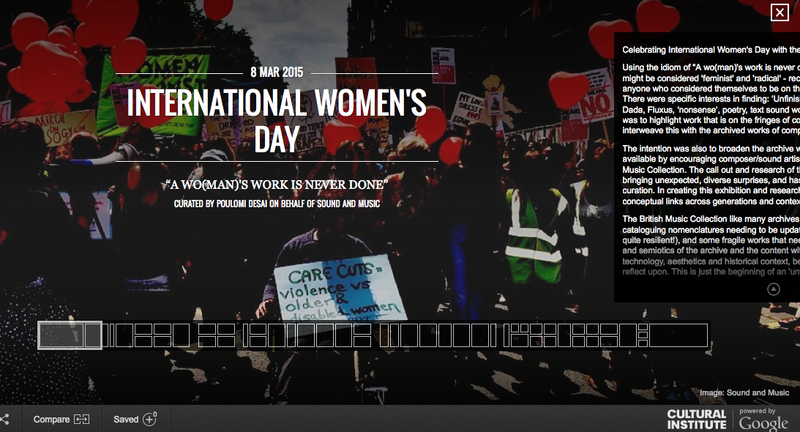 My curation for Sound and Music’s International Women’s Day is now online! Sound and Music | British Music Collection | Google Cultural Institute. Creating this online exhibition has been inspiring, reflective, joyful, intense and hard work. There were many gems in the archives at the collection, from autograph manuscripts to quizzical graphic scores, to old recordings and photographs. I have produced / curated this online exhibition within two weeks including two fascinating, intensive research days at the University of Huddersfield where the archives are preserved carefully, cataloging and colour correcting dozens of photographs, and uploading, and designing the exhibition on an online software that I sometimes wanted to scream funeral dirges at. I hope you find it stimulating and informative. This is just the beginning of an “unfinished” story and I hope to be able to re-visit the archives to highlight more of what is hidden and waiting for us to discover. Featured amongst many are – Composers, Sound Artists, Conductors, Musicians, Sound Magicians, Wordsmiths: Alwynne Pritchard, Angela Morley, Anna Friz, Claudia Molitor, Diana Burrell, Errollyn Wallen, Ethel Leginska, Ethel Smyth, Feminist Improvising Orchestra, Iris Garrelfs, Janet Beat, Jo Thomas, Judith Weir, Lindsay Cooper, Magz Hall, Michelle Marie Lewis-King, Nicola LeFanu, Phyliss Tate, Polystyrene, Priti Paintal, Rebecca Horrox, Rebecca Saunders, Riot Grrrls, Riz Maslen, Shirley J. Thompson, Yumi Hara Caukwell. I am very pleased that I have been chosen for the curation of an online exhibition for Sound and Music and the Google Cultural Institute. The exhibition is for the British Music Collection for International Women’s Day on 8 March 2015. I want to highlight new works by living composers and artists and want you to be part of it. 1) ‘Unfinished’ pieces 2) Noise based, Dada, Fluxus, ‘nonsense’, multi-lingual, poetry, radio, video and text sound works, and graphic scores. I want to highlight work that is on the fringes of contemporary, new music scenes and interweave this with archived works from the British Music Collection at the University of Huddersfield. My intention is to make this archive broader in it’s outlook and I encourage sound makers and musicians to register their works with the British Music Collection. Your work will also be highlighted on the Usurp website. “3 ELECtronicA’S” hijacked the lighting and sound systems of De Player in Rotterdam and created a twisted, noise, son et lumière. Hacking, bending, pulsing darkroom electronics in a filmic ambience, creating audio-visual hypnagogic illusions. 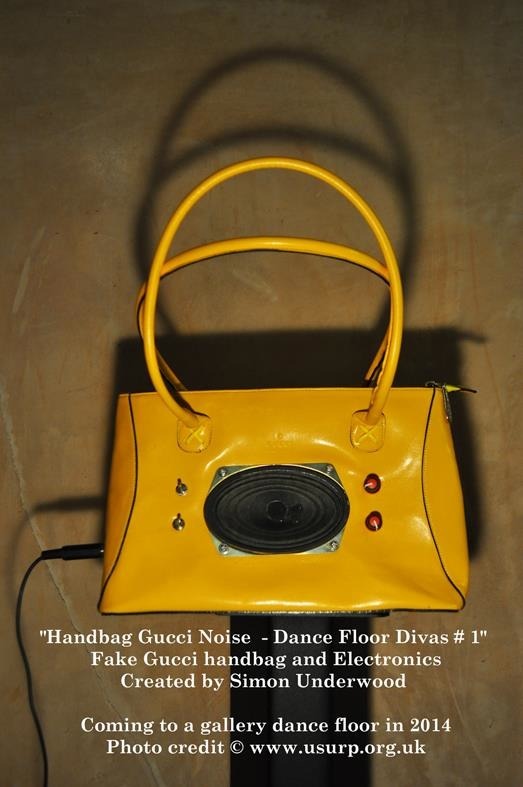 3 artists characterised by the fact that they develop their own electronic devices for the use of making sound in a sculptural and performative way. Thanks to De Player and special thanks to Peter Fengler. - a newly formed band of young British musicians exploring the depths of Indian classical music with the influences of music surrounding them today. With a passion to perform compositions and original music, these young musicians highlight the eclectic variety within British Asian Music by adding a new and dynamic perspective. ‪Cafe Oto | Kammer Klang. BJ Cole (pedal steel guitar) + Poulomi Desai (prepared sitar) 8 July 2013. Thanks to Lucy Railton and Aisha Orazbayeva of Kammer Klang. Thanks to Peiman Khosravi for the sound recording. POULOMI DESAI is a self taught multi-media artist, best known for her large-scale sound and photography installations that interrogate the politics of identity, listening and perception. Inspired by her post-punk theatre background, her tools are image-based, textual, performative and acoustic, traversing boundaries of physical location and structures of presentation. Her current pre-occupation investigates sacrilegious sound and vision through the machinations of her prepared, modified sitar, electronics and slide projections, performing on the noise and free improv scenes. Commissions and exhibitions include, The Serpentine Gallery, The Photographers Gallery, The Science Museum, INIVA, The Queens Museum (USA), The Oxford Gallery (India), Futuresonic UK and Souzouzukan 9001 Japan. She runs the Usurp Art Gallery and studios, an experimental tactical media artist-led space where she has curated over 80 exhibitions and events. “Her irreverent aim is to shatter the contours of these fixed notions of sexual, national, cultural, personal, political and diasporic identities” – Professor Stuart Hall “Different” Pub. Phaidon. THIERRY DE MEY : Musique de Tables (1987), one of Mey’s earliest compositions, was originally written for the first show from the choreographer, dancer and film director, Wim Vandekeybus, entitled ‘What the Body Does Not Remember’. It is scored for three percussionists, each creating a variety of sounds from striking a table. Performed by percussionists, Joe Richards, Elsa Bradley, Ana Gasco. STEFAN PRINS: Stephan Prins – Piano Hero No.1 (2011) is an immersive cycle for midi-keyboard, grand piano, live-cameras, video and live-electronics. Referring to the video game ‘Guitar hero’ and it’s plastic guitar triggering pre-recorded sounds and images, the pianist in Piano Hero triggers with a midi keyboard video samples of an ‘open piano’ improvisation. Performed by pianist, Gwen Rouger. ARNOLD SCHOENBERG – Fantasy for Violin with Piano Accompaniment op.47 (1949). Violin and piano duo Aisha Orazbayeva and Matthew Schellhorn have performed together for a number of years, and have recently recorded Ravel’s Violin and Piano Sonata featuring on Aisha’s Outside album. They are currently preparing for a live broadcast on France Musique and a series of concerts for the Radio France Montpellier Fetstival. “Progressions in Indian classical music. Raga Scales by The Conspirators of Pleasure.” Part of the “Zero Classikal” series at the Cockpit Theatre, London 2013.